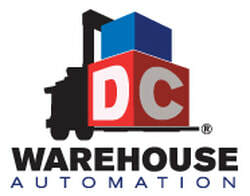 DCSC Inc. is the publisher of DCWarehouse© Automation. This software is developed in the same tool set as a major distribution and/or manufacturing Enterprise Resource Planning System. The application eliminates the expense and redundancy of multiple databases or separate software packages. The idea to develop a completely integrated solution came directly from the differing needs of many of our distribution and manufacturing clients. DCWarehouse© Automation allows these types of companies the ability to maintain one completely integrated system for accurate and efficient inventory planning, inventory control, inventory replenishment, shipping fulfillment, accounting, customer service, shipping and rate shopping, warehouse management and much more. Our Clients are located across the country and beyond. We have a significant installation base in North America and beyond! DCWarehouse Small Business Edition: A completely integrated Warehouse Management and Supply Chain software built in the same toolset as a major ERP System. Features include a completely integrated bar-code and label system, receiving, container tracking, shipping, bin-moves, bin-replenishment, cycle counting, warehouse space utilization, materials issues, back-flushing, labor entry, directed put-away, sales order entry, many picking methods (Wave, Zone, Ready-To-Ship, Pick-To-Box) and much more. DCWarehouse Automation Enterprise Edition: A completely integrated Warehouse Management and Supply Chain software built in the same toolset as a major ERP System. Features include a completely integrated bar-code and label system, receiving, container tracking, shipping, bin-moves, bin-replenishment, cycle counting, warehouse space utilization, materials issues, back-flushing, labor entry, directed put-away, sales order entry, many picking methods and much more. DC Packaging Manager: Forget using separate third-party shipping and manifesting software, no one can touch the power of the DCPackage Manager. DCPackaging Manager allows you to shop for rates at the time of order entry or packaging with UPS, USPS, FedEx, DYMO/Endicia, DSL/Airborne and other carriers. DCTruckload and Banyan Freight Rate Manager: If you need help staging and loading your own trucks or outside carriers, this powerful application is what you need. It allows you to intelligently stage and prepare your TL and LTL shipments, shop for freight rates, and pick/pack/ship your loads with the pro numbers automatically populating back. This can save your company thousands of dollars in shipping costs. DCCredit Card: This application works seamlessly through order entry and pick/pack/ship allowing you to quickly settle right at the time of shipment. This is a proven and mature software application that is used by our valuable wholesale distribution clients. DCMobile Sales and eBusiness: Combined with our powerful DCCredit Card Application, you can now handle your business-to-business transactions at trade shows, on the road and from other areas around the country. DCDevelopment: DCSC Inc. has a team of developers all located in Saint Louis, Missouri. If you need a company that knows distribution and manufacturing to help design an application to meet your warehouse management, shipping, and supply chain needs, we are here to help.